Sawa Mninjah, an organisation in Lebanon representing the rights of women and children and protecting them from abuse, has won the Grand LIA award for radio with “Rescue Radio”. In Lebanon, there are 200,000 foreign domestic workers, mostly from countries like the Philippines, Sri Lanka, Kenya and Nepal. They arrive hoping to support their families back home, but the reality is that thousands are physically and sexually abused. Often they are locked up and prevented from leaving their employers’ homes for months on end, making it impossible for charities to reach out to them without attracting unwanted attention from their abusive employers. So we found a unique way in. 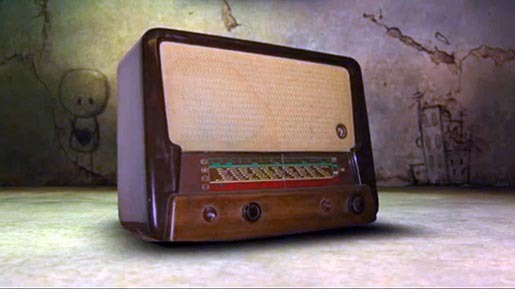 Radio ads were created in languages only the domestic workers could understand, and played on popular Lebanese stations. “Nepalese Street Festival”, “Sri Lankan Health Spa”, “Kenyan Romantic Drama”, “Filipino Pop Singer” were disguised as typical ads, breaking into employers’ homes, delivering Sawa Mninjah’s secret message of hope. According to the award submission, the project has helped save four abused workers and is ongoing. The Rescue Radio campaign was developed at Memac Ogilvy, Dubai, by executive creative director Steve Hough, creative directors Ben Knight and Ramzi Moutran, copywriters Logan Allanson, Dylan Kidson and Chris Hart, scriptwriters Ali Mokdad, Sascha Kuntze, James Purdie, agency producer Diana Jebaly, designer Christian Louzado, and account manager Alexandra Saade. The commercials were produced at Eardrum, Sydney, by director Ralph van Dijk, producer Lesley Chambers, and recorded at Song Zu, Sydney, and I&G Media, Sydney, by audio engineers Abby Sie, Simon Kane and Phil Muscatello. Voice casting was by EarCasting. Sound was designed at BKP Music, Dubai, by audio engineer Chris Atkins. The case study was produced at Muddville Dubai by Christian Hayne.